Our professionally designed instrument series is designed to meet the needs of sail boaters and power boaters alike. These units utilize NMEA2000 to communicate with other units. It’s single-wire installation and full compatibility with other navigation equipment facilitates an easy plug-and-play installation. Whether you use these instruments by themselves or part of your new NavNet 3D helm, this addition will be both useful and enhance the beauty of your helm. 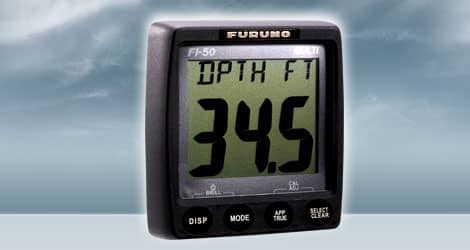 The FI504 features a large segmented LCD which allows for easy monitoring of all of the data available in the network with alphanumeric digits.